Among the most popular silver bullion issues in Europe, the Austrian Silver Vienna Philharmonic gained distinction for being the first coin struck in silver which carries a euro denominated face value. The coin is minted by the Austrian Mint in Vienna and features .999 pure silver content. This historical mint guarantees the purity and quality of the coins. It is widely collected in Europe, North America, and Japan, which helps create an ease of buying and selling them as necessary. The Vienna mint has such a reputation for its long history of silver consistency that many mints around the world order their silver blanks from them. The prestigious history of silver coin minting in Vienna stretches back to the 12th century. When Duke Leopold V captured King Richard the Lionheart on his return from the crusades, Richard's mother paid a bounty that is historically reputed to be 15 tons of silver to secure his release. Leopold struck silver coins from the silver hoard. Within 200 years of this event, the Austrian Mint is officially mentioned in historical records. The history of these Silver Vienna Philharmonics is more recent. The Austrian Mint introduced these coins in 2008 with an assigned face value of 1.50 euros. This makes them some of the newest additions to the silver bullion world as well as among the most popular in precious metals today. The minted numbers change from one year to the next as the Austrian Mint gauges the production levels based on anticipated annual demand. They use the same consistent design year after year. The first five years of the coin's issue saw it selling over five million coins around the globe, amounting to an impressive 1,800 tons worth of silver. The coin itself was modelled on the extremely popular and beloved Vienna Philharmonic orchestra. The institution began in 1842, and today it remains among the most selective of orchestras on earth in its choice of musicians. Tryouts require three years of proven performance in the organization's opera and ballet productions. Following this extensive probation, musicians are finally allowed to make their application to join the Vienna Philharmonic. The famed historical Austrian Mint guarantees all Silver Vienna Philharmonics for purity, weight, and content. The mint sells these coins directly every year in monster boxes of 500 coins. They come in 25 tubes of 20 coins per roll. All coins are struck and rolled in brilliant uncirculated condition. The Silver Vienna Philharmonic design is based on the most popular gold bullion coin in Europe, its brother the Gold Vienna Philharmonic. The designs are identical. On the obverse is the renowned Great Pipe Organ that resides within the Golden Hall of Vienna. This is the headquarters of the Philharmonic Orchestra itself. The coin features the declaration that it is 1 ounce pure silver and the 1.50 euros face value. On the top it declares in German the Austrian Republic. The coin's reverse showcases a group of prominent instruments that the orchestra plays. Among these are pictured the oboe, harp, and French horn. At the top it states that it is the “Vienna Philharmonic Silver” coin in German. Every Silver Vienna Philharmonic coin comes with a face value of 1.50 euros as each coin plainly states. This means that a person could spend them for one and a half euros in Austria or any country participating in the euro zone in theory. No one would realistically choose to do this though as the intrinsic value of these Silver Vienna Philharmonics is substantially greater than the actual face value. The market value has no connection to the spending power of these popular coins. Actual market value is mostly based on the spot price of silver. Silver prices fluctuate each day. Because of this, the Silver Vienna Philharmonic coin prices also change every day. You can watch the real time precious metals pricing by going to our home page. It is easy to add these Silver Vienna Philharmonic coins to your precious metals IRA since the IRS approves them. Your IRA administrator will purchase them on your behalf either from a coin dealer or the Austrian Mint directly. This will provide you with special diversification that will not go up and down at the whims of the bond and stock markets. Many investors like the attractively priced alternative hedge that silver bullion provides versus more expensive gold. The Internal Revenue Service allows you to add silver, gold, palladium, and platinum to your precious metals IRA. The coins must be approved by the IRS specifically in order for them to be added, as with these Silver Vienna Philharmonics. Initial purchase amounts of silver have to be at least $5,000 to fund this kind of IRA. Subsequent purchases can be added with an additional $1,000 minimum. There are certain ways that silver or other precious metals have to be maintained in these IRAs. The coins must achieve a minimum purity standard to be added. The Austrian Mint guarantees every Silver Vienna Philharmonic coin meets these IRS requirements. The IRS has rules about such IRA precious metals being stored in approved depositories as well. Such vaults insure, guard, and store your bullion so you do not have to worry about it. 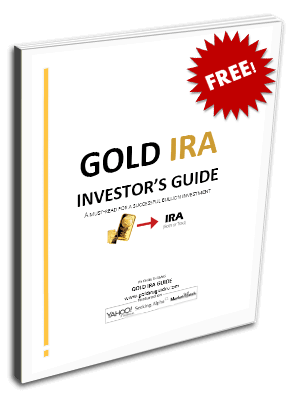 If you have an existing IRA that you wish to transfer over to a self directed precious metals one, you can do this via a roll over. All purchases, sales, and transfers of precious metals will be arranged by your IRA administrator once you give the orders. Sign up to learn more. It’s free!